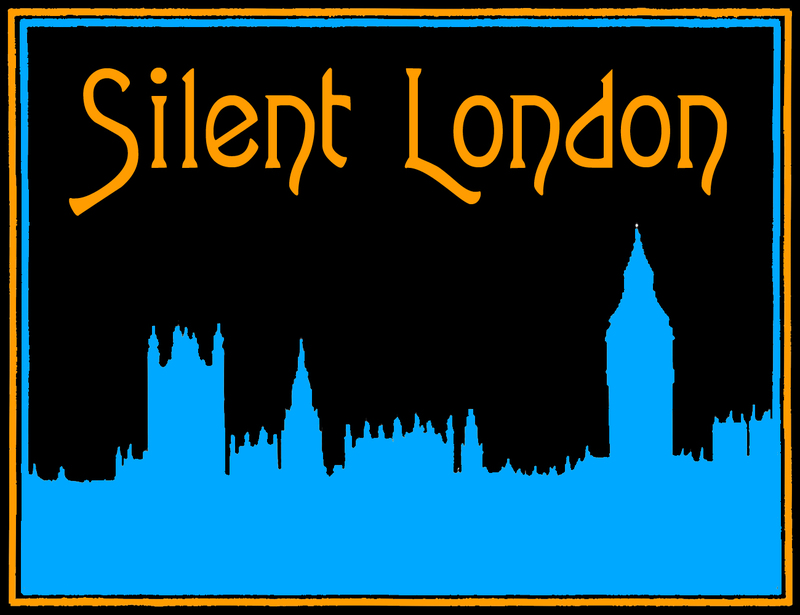 This is a guest post for Silent London by John Sweeney. John Sweeney is one of London’s favourite accompanists, composing and playing for silent film and accompanying ballet and contemporary classes. He researched and compiled the music for the Phono Cinéma-Théatre project and is one of the brains behind the wonderful Kennington Bioscope at the Cinema Museum. His score for Lois Weber’s The Dumb Girl of Portici will accompany the film on its forthcoming DVD/Blu-ray release this year. The Silent Serial is perhaps the least watched of all the great silent film genres. Yet they were hugely popular: from about 1910 most studios produced serials, or their close relative, series (serials keep a plot going over the course of all the episodes, series have self contained plots in each episode but a common cast of characters). Some of the most famous are The Perils of Pauline (1914) and The Exploits of Elaine (also 1914), both starring Pearl White as the heroine struggling against assorted villains, The Hazards of Helen (119 episodes! ), and in France Louis Feuillade directed the wonderful Fantômas (1913), followed by Les Vampires, Judex, Tih Minh, Barrabas and Parisette. Another excuse for a trip outside the big smoke, Flatpack Festival is a quirky event, showing “cinematic wonders” of all kinds at venues across Birmingham at the end of March. And there is plenty on the schedule to entice a silent film fan. Digging for Gold is at Brimingham Town Hall on 24 March at 7.30pm. 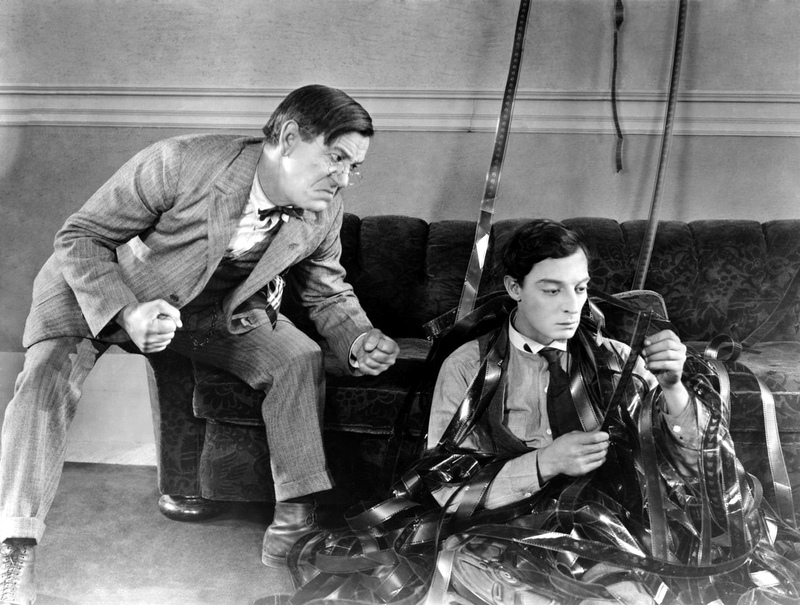 On the final day of the festival you can enjoy The Keystone Cut Ups at the Electric Cinema, which mixes early slapstick film with scenes from surrealist films of the same era. People Like Us and Ergo Phizmiz have been regular collaborators for some time, and when commissioned by Berwick Media Arts & Film Festival last year the result was The Keystone Cut Ups; a kaleidoscopic split-screen voyage through silent cinema which combines celluloid moments both familiar and uncanny with an original score performed live in the auditorium. Striding purposefully into its second century, the Electric Cinema should provide the perfect setting. You can see a short video excerpt here. The Keystone Cut Ups screens at the Electric Cinema on 27 March at 7.30pm. The performance is built around a triple-screen film projection, incorporating techniques of early cinema and a variety of shadow effects. The original music score and sound effects are performed live by Pram as hidden conspirators behind a giant film screen, occasionally also glimpsed as silhouetted figures incorporated into its fractured scheme of images. The musicians employ an eclectic mixture of electronic and acoustic instruments, while the sound effects are created using hand-crafted devices from the theatre of a bygone age. All this as well as screenings of new and classic films, a vintage mobile cinema, and some very special cakes. More details at the Flatpack Festival website here.